Stocks are churning sideways and digesting yesterday’s breakout. Buyers are not rushing to buy and sellers are not rushing to sell. Most peaks after an unsustainable run fail within three days. If we see constructive action for a few days, the market is poised to continue higher. Failing to hold these levels over the next couple days means we should expect near-term weakness. The recent rally has priced in increased expectations of a workable Fiscal Cliff compromise. But while the market is eagerly anticipating agreement from our politicians, if we weren’t averting a “Fiscal Cliff”, what would the market think if our politicians simply announced “we are going to raise taxes and slash spending”? How would the market react to that headline? It is an important question to ask because that is sub-text to averting the Fiscal Cliff. After the euphoria of a grand bargin settles down, the market will focus on what terms are in the deal and might develop an allergic reaction to European-style austerity. I’m bullish over the long-term because we are still in the economic recovery phase and there is a ton of money stashed on the sidelines in Treasuries, gold, and money markets. That is the fuel to propel the next bull super-cycle, but here in the near-term we should expect some emotional volatility. Long-term traders ignore these daily, weekly, and monthly swings and profit handsomely from their resolve to stand above the fray. Swing traders on the other hand take advantage of this emotional volatility. It is still a little early to short the market, but prudent swing traders are lightening up their long exposure. Long-term holders, whether you buy here or a few points higher or lower, you will see some nice profits over the next year as a real economic recovery takes hold. AAPL is taking its cues from the market and digesting its strong two-day bounce. Prices are down modestly, but this is still supportive of recent gains. 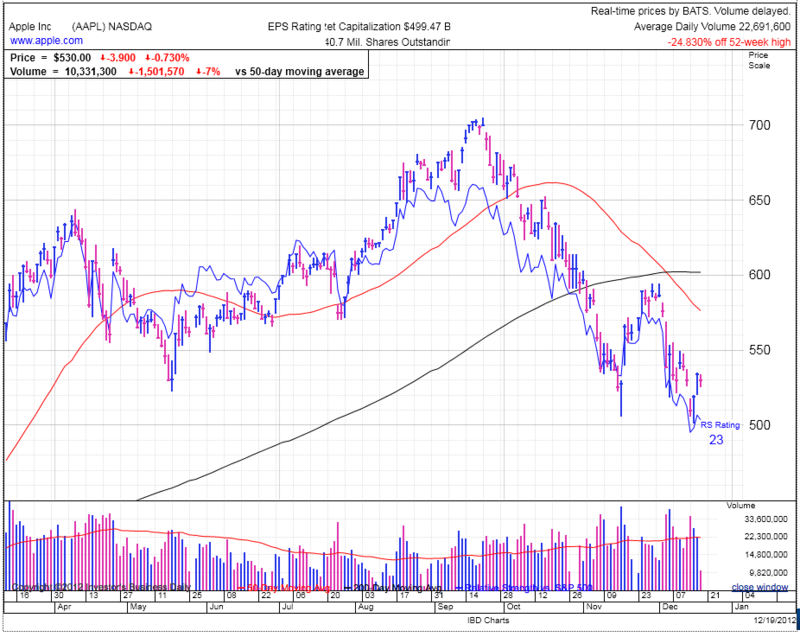 But unlike the broad market, AAPL is still in the mist of a selloff and struggling with widespread bearish sentiment. All the sellers who bailed on the stock since September might be willing to buy back in if the stock starts rallying again. Value investors form the bottom, swing traders start the rebound, and momentum chasers push it higher. It will be interesting to see where AAPL trades just before its earnings are released in January. Will the bearish sentiment break before then and price in a decent quarter? 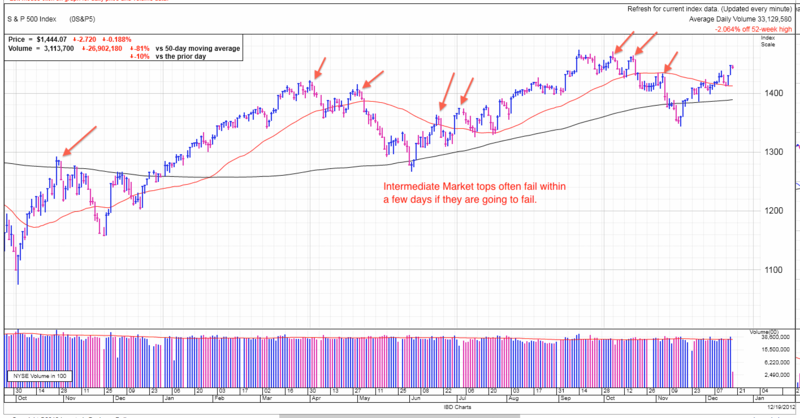 Or will the pessimism remain and the market will wait for confirmation of good news before buying?